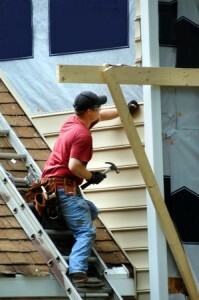 Homeowners open themselves up to risk every time they have a handyman or contractor perform work for them. There is risk that the work won’t be done well and the contractor won’t fix it. There is risk that someone working on the house gets injured and sues the homeowner. There’s even the risk of theft or damage to the home as a result of having work done. Believe it or not, contracted workers can sue homeowners if they are injured on the job. Homeowners need to be aware of this risk whenever they hire a contractor for a home improvement project so they can take steps to protect themselves and minimize their liability. There are typically two approaches to a homeowner’s level of involvement. Either they exercise a lot of control and try to be involved in every aspect of the job or they step back and leave almost every aspect of the project management up to the general contractor. The second approach is actually better for the homeowner from a liability perspective. Homeowners who exercise a lot of control by closely monitoring the project may think they are protecting themselves and their investment, but this high level of control can backfire on them. Close involvement by homeowners sets them up for personal injury liability as it relates to workers. As soon as the homeowner starts telling the workers how and where to perform the work, they are taking on an obligation to ensure the safety of the workers. Even seemingly innocent comments such as suggesting the worker use gloves or some other form of protection can be interpreted by the courts as the homeowner accepting responsibility for the safety of the workers at the site. The best protection is to let the contractor do his job and rest easy in the knowledge that legal recourse is always available after the fact if problems arise. Licensed means the contractor has been granted a trade license to operate in the state. To obtain a license, the contractor must demonstrate competency in business practices and skills specific to their trade. They must also provide proof of insurance or bonding and pay a fee. Registered is a less stringent process than licensing, usually only requiring proof of insurance and payment of a fee. Bonded means that the contractor has an arrangement with a third party through whom homeowners would apply for reimbursement if they suffer financial harm due to the contractor’s work. Licensing gives you some recourse if there are problems with the work performed. At the very least you have a name, contact information, and an insurer name to contact if there is a problem after the fact. But don’t take the contractor’s word for it that they are properly licensed. Ask for their state license number and then check it against the Colorado Department of Regulatory Agencies. This is also the site to visit if you aren’t sure if the contractor needs a license for the project in question. A simple search of license types will tell you if licensing is required by the state or not. You should undertake a similar verification process to make sure the contractor has workers compensation and liability insurance. Ask to see proof of these coverages, verify that they are current, and that the amount is enough to cover your project before you sign any contracts to have work done. Hiring contractors without insurance can make you liable for any injuries or property damage that happens during the project. The contract is very important to ensuring you and the contractor are on the same page. You don’t want to leave anything to chance here. Use the contract to establish the project plan and scope, costs, materials used, timeframe to completion, and any other details important to you. If you don’t want work to start before 9:00 a.m., for example, put it in the contract. Leave nothing to chance or with the expectation that you’ll address it later. You are well within your rights to have the contract reviewed by an attorney, so if you are at all unsure of what you are signing, have a contract or construction law attorney review the document before you sign it. Home improvements can be a major investment of time and money. You want to be absolutely certain that you’ve hired the right contractor for the job and that you have limited your liability exposures. Even if all of your research comes up with nothing, if your gut is telling you not to hire the contractor, listen to it and find one that you can trust. There are plenty of trustworthy contractors who do high-quality work in Colorado. Take the time you need to find the right one for your project. You always have the option to consult a contract law or construction law attorney for advice before, during or after a project. 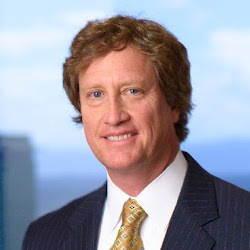 If you ever find yourself in a situation where you had a bad experience with a contractor, are being sued by a contractor, or want to bring a suit against a contractor, contact a construction law attorney at Schlueter, Mahoney & Ross, P.C. for advice. Our construction attorneys can be reached by phone at (303) 292-4525, at our office, or by filling out the contact form on our Contact Us page.